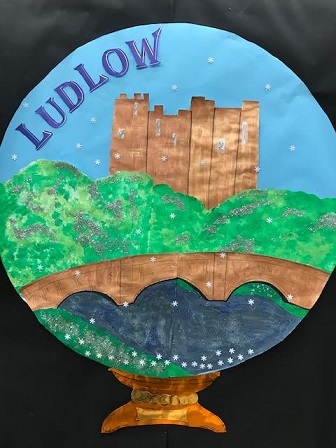 St Laurence Church of England Primary School is situated in the delightful town of Ludlow and is fortunate enough to be part of a Federation with other Ludlow schools.This offers us the opportunity to share resources and expertise between the schools. At St Laurence's the children consistently achieve well and standards are high: we are a very happy school which occupies a central position in the local community. We offer a broad, balanced curriculum with an emphasis on creativity. There is a strong musical tradition and a commitment to expression through the performing arts. We are a church school with a positive Christian ethos and have received 'Outstanding' in our recent Church Inspection. We enjoy a well established link with St Laurence's church and visit often as part of our RE lessons, but also to participate in Christian services throughout the year. St Laurence's is also a keen sporting school and offers a variety of sports to the children, both within lesson time and during extra-curricular activities. We are pleased to offer excellent Nursery provision, including lunchtime supervision, a separate outdoor area and access to Mortimer Forest through weekly Forest School activities. The Friends of St Laurence play an active and vital role in our school life, providing funding and resources for various activites and they also plan and host a number of 'family fun' events throughout the year. Jesus showed compassion towards the 'harassed and helpless' crowds and his works of healing were always prompted by compassion for people' suffering. He wept at the death of Lazarus and was moved to act. 'Finally, all of you, live in harmony with one another; be sympathetic, love as brothers, be compassionate and humble'. 'Compassion and tolerance are not a sign of weakness, but a sign of strength'.